2011 Dec. 6 SASC and HASC Conference irons out differences in the DAA and ten US Senators sign letter requesting the Repatriation Amendment be reinserted in the DAA. 2011 Dec. 17 Sec. Defense Leon Panetta visits Tripoli and Intrepid graves at Old Protestant Cemetery. 2012 Christopher Stevens quietly appointed US Ambassador to Libya. Media excluded from ceremony. 2012 May Chris Stevens appointed US Ambassador to Libya. 2012 September Film farce "Innocence of Muslims" incites anti-American protests in Arab countries. 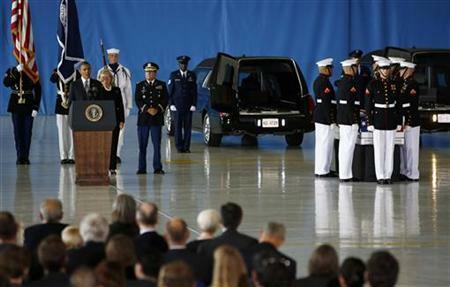 2012 September 11 US Ambassador Stevens and three other Americans killed in attack on US mission at Benghazi. 2012 October Navy/DOD Report on Intrepid remains recommends they not be repatriated, but does not mention the radical Islamic threat to graves. 2012 January Islamic Militants, some from Libya, of the same stripe as those who killed Stevens, retreat fromTimbucktu after imposing Islamic law for six months, but not before destroying most of the historic, centuries old manuscripts, books, mausoleums and graves of Sufi Saints and holy men. Latest photo of the Old Protestant Cemetery, Tripoli. – By William E. Kelly, Jr.
Two recently released official government reports on American interests in Libya clearly show the disparity in our government’s policies, one ignoring the radical Islamic threat and the other examining it in detail. On the night of September 4, 1804 Lt. Richard Somers of Somers Point, New Jersey commanded the USS Intrepid as it sailed into Tripoli harbor outfitted as a fire ship in a special mission to destroy an anchored pirate fleet. Instead the ship exploded killing all three officers and ten men, whose bodies washed ashore and were buried by American prisoners from the captured frigate USS Philadelphia. The recent Department of Defense study on the feasibility of repatriation of these remains of US Navy heroes from Tripoli fails to even mention the threat to them posed by the radical Islamic extremists while the Benghazi report on the assassination of US Ambassador Chris Stevens clearly identifies the threat they pose and the continued lack of security in a revolutionary and lawless land. The DOD report on the Tripoli graves concludes with the unreasonable, outdated and obstinate Pentagon policy of not treating the remains of all Americans killed in action abroad with the same honor and respect. The feasibility of repatriating the clearly identified remains of the men from the USS Intrepid is very easy, what is difficult is changing the Pentagon policy of not repatriating those who were killed abroad in combat before the 20th century. Their tired excuses of why they don’t want to repatriate the Tripoli remains have all been adequately addressed, especially the unfounded fears that if these men are returned, as the families of the officers have requested, there will be a flood of requests from other families who want the remains of their kin returned as well. But as Chris Dickon documents in his book “The Foreign Burial of American War Dead” (McFarland, 2011), there are no other families who would seek such repatriation. Dickon also notes that there are only a few other examples of Americans buried abroad in marked graves that are not secured and cared for by the American Battle Monuments Commission, as those are in Flanders and Normandy. The military claims that it was “a fine Navy tradition” to bury the dead on a shore near where they died, but that is not the case today and the Somers family has always expected the remains of Master Commandant Richard Somers to be someday returned to Somers Point, NJ, and they still expect that to happen, hopefully in our lifetime. It was never a matter of if he would be returned, only when, and now it is not the Libyan government preventing it but the US Department of Defense. With the re-establishment of diplomatic relations and with a Libyan government in transition, the graves clearly threatened and the current window of opportunity presents a time and reason to make that move. The Navy’s lack of confidence in their own conclusion that the remains of the Intrepid men are buried in the clearly marked crypts in the corner of the Old Protestant Cemetery is a question that can be easily answered by simply opening the crypts, counting the remains, identifying them as the men of the Intrepid and attempting to positively identify the officers through DNA testing. The same procedures are used every day by the dedicated and committed DOD POW/MP forensic officers, some of whom recognize the significance of the Tripoli case and want to take on the mission. 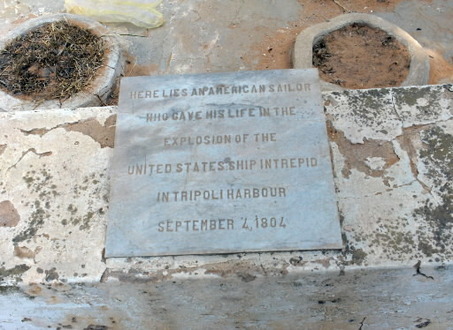 The Navy’s determination that the Old Protestant Cemetery in Tripoli is “the final resting place” for those men is belied by the facts presented in the recently published Libyan history book “Secrets of the Old Protestant Cemetery,” which notes that more than half of those interred there have been removed and reburied elsewhere. It says the cemetery was only meant to be a temporary resting place for those mainly European diplomats and their families who unexpectedly died there. More recently, the remains of many dozen – nearly a hundred American service men and their families buried in the Italian cemetery near the former US Wheelus Air Force base were exhumed and quietly repatriated home. Attempts were made to identify them and notify their families and they were reburied in a cemetery near Dover, Delaware, even though their Tripoli graves were intended to be their “final resting place.” But now they are safely home, unlike the Intrepid heroes. 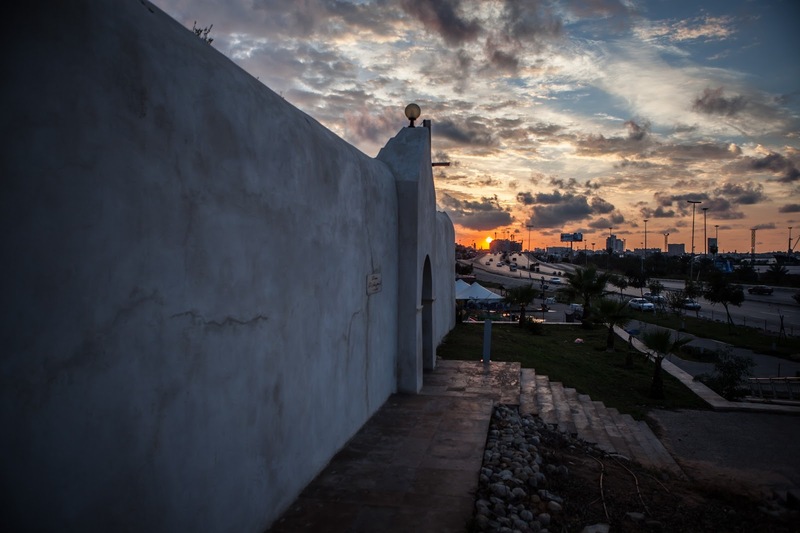 Most significantly, the DOD report on the Tripoli graves fails to even mention the most serious threat to them from the radical Islamic extremists, known as Salafists, who have already desecrated the graves of British soldiers in Tobruk and exhumed and made off with the remains of Sufi Muslim saints buried in the floors of Tripoli mosques. Mohammad Ali al-Zahawi – commander of Ansar al-Sharia, Libya’s largest Islamist brigade said, "Our brave youths will continue their struggle until they impose Sharia." The brigade has an ultra-conservative interpretation of Islam, and Zahawi confirmed in a BBC interview that his brigade had demolished and desecrated Sufi shrines in Tripoli and Benghazi, which they regard as idolatrous. He said, "It is a religious duty to remove these shrines because people worship the deceased and this is prohibited. It is not me who says so but rather our religion." While most Libyans seek democracy and like Americans for their assistance in ousting Gadhafi in the earliest days of the revolution, a small minority of orthodox Libyan Islamists want to impose Sharia law, suppress the rights of women, forbid music, prevent the veneration of Muslim saints or keep anyone from honoring the dead. These grave robbing Islamists are the same radical extremists who support al Qaeda and the Taliban, attacked the US consulate in Benghazi and killed Ambassador Chris Stevens and his aides. Last Memorial Day 2012 Ambassador Stevens led a delegation from the US Embassy to honor the men buried in the Intrepid graves in the cemetery during an annual memorial service. When Stevens was killed, his remains weren’t buried there where he died, as the Intrepid men are, but Stevens’ body was returned home and met by President Obama and Secretary of State Clinton. When the remains of John Paul Jones were discovered under a Paris street, they were ordered returned home by President Teddy Roosevelt and honorably reburied in the chapel at the US Naval Academy at Annapolis. Nearby is the Tripoli monument, America’s first monument dedicated to those who died fighting for this nation, which is inscribed with Somers’ name and the names of those officers who died with him. It was meant to be a gravestone and include their remains. Instead the remains of these heroes still lie in a cemetery near the shores of Tripoli harbor, each crypt clearly marked: “Here lies the remains of an American sailor from the USS Intrepid destroyed in Tripoli harbor September 4, 1804. Some Islamists, including the Salafists, believe that tombs are a corruption of Islam's teachings because they turn graves into shrines and distract from the worship of God. In Misrata the Salafists destroyed the 400- year old tomb of holy man Sidi Nasr Azzi with anti-tank guns. In Derna, which William Eaton and Sgt. Presley O”Bannon had captured in 1805, Salafists demolished the tomb of Sidi Nasr Aziz, a sheikh reputed to have been a companion of the Prophet Mohammed. In Tripoi, the Sidi Nasr mosque was broken into at night and destroyed two tombs, including one holy man who died in 1760. According to Islamic scholar Giles Kepel, Salafist jihadism combined "respect for the sacred texts in their most literal form,...with an absolute commitment to jihad, whose number-one target had to be America, perceived as the greatest enemy of the faith." If the American grave stone markers aren’t attacked and desecrated and the crypts robbed of their bones as soon as the radical Salafists discover their location, they will surely be targeted whenever an anti-American demonstration is called for, which is only a matter of time. Who will get to them first? Will it be an American forensic team who brings them home to be properly buried with full military honors, or radical Islamic extremists who will desecrate their graves and give their bones to the dogs? William Kelly is the author of “300 Years at the Point” and “Birth of the Birdie.” He resides in Browns Mills, New Jersey.